When flu season peaks after mid-winter, tens of thousands of influenza cases and hundreds of deaths can likely be avoided if older adults wait until October to get their flu immunization, a University of Pittsburgh School of Medicine analysis reveals in the April issue of the American Journal of Preventive Medicine. New Zealand is facing a serious outbreak of measles with 25 confirmed cases. A nationwide alert has been sounded and vaccines against the viral disease are being sent to the affected areas. 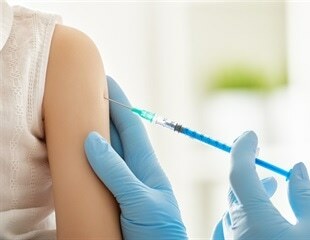 If mitigating racial disparities in those who contract pneumococcal diseases, such as meningitis and pneumonia, is a top public health priority, then recommending that all adults get a pneumococcal vaccine at age 50 would likely be effective guidance, according to a University of Pittsburgh School of Medicine analysis published today in the journal Vaccine. As cultural successors, hedgehogs reside in close proximity to humans. Close contacts, however, are not only beneficial but also bear risks for animals and humans. Road traffic, lawn mowers and infectious agents threaten the prickly insect eaters. A public health emergency has been declared in Washington with over two dozen cases of measles. Last Friday (25th January 2019), the Governor Jay Inslee said in a statement that there is an outbreak of measles and the Washington State Military Department and State Emergency Operations Center would be collaborating with the Department of Health to fight the outbreak.